Art Central, in partnership with UOB, returns to the Central Harbourfront from 21-25 March [VIP preview & first night 20 March] with 100 contemporary galleries showcasing the next generation of talent alongside some of the most established galleries from across Asia and the globe. Now in its third edition, Art Central is recognised as a place of discovery and a platform for museum quality artworks from more established names to be exhibited alongside cutting-edge works by emerging artists. Staged within an architect-designed temporary structure, the strong gallery line-up is complemented by a dynamic five-day programme that includes interactive installations, experimental film and performance, engaging panel discussions, as well as some of Hong Kong’s hottest eateries. 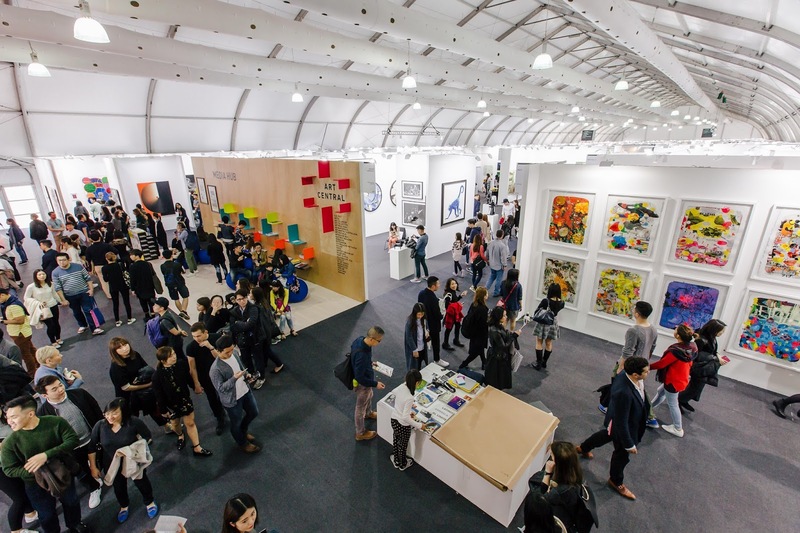 Billed as one of the most anticipated events on the city’s cultural calendar, the 2016 fair welcomed over 32,000 international collectors, curators and art enthusiasts adding a fresh new style to Hong Kong Art Week and firmly establishing itself as an unmissable art event. "Art Central has established itself as a catalysing force for bringing together emerging and established talents, through an accessible platform that champions discovery, ideas and experimentation," Charles Ross, Art Central Managing Director said. "This year, I am particularly excited to welcome our new gallery partners, presenting art of the highest quality from a spectrum of periods and geographies, and offering our visitors an immersive cultural experience. The quality and ambition of this year’s presentations are testament to our Fair’s strength and identity as a place to meet and exchange ideas." Art Central 2017 draws together a range of galleries, presenting ambitious solo and group exhibtions across its main Central sector. New additions for 2017 include Art Front Gallery (Tokyo), Artereal Gallery (Sydney), GALERIE OVO (Taipei), Salon de H (Seoul), In The Gallery (Copenhagen), De Buck Gallery (New York, Antwerp, Saint Paul de Vence), and Sims Reed Gallery (London) among others. RISE presents galleries and art spaces launched in the past six years, showcasing tightly curated solo presentations by early career artists. The sector enables new talents to be discovered and new trends to be visualised.